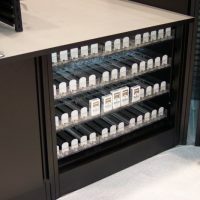 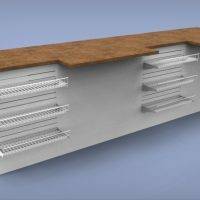 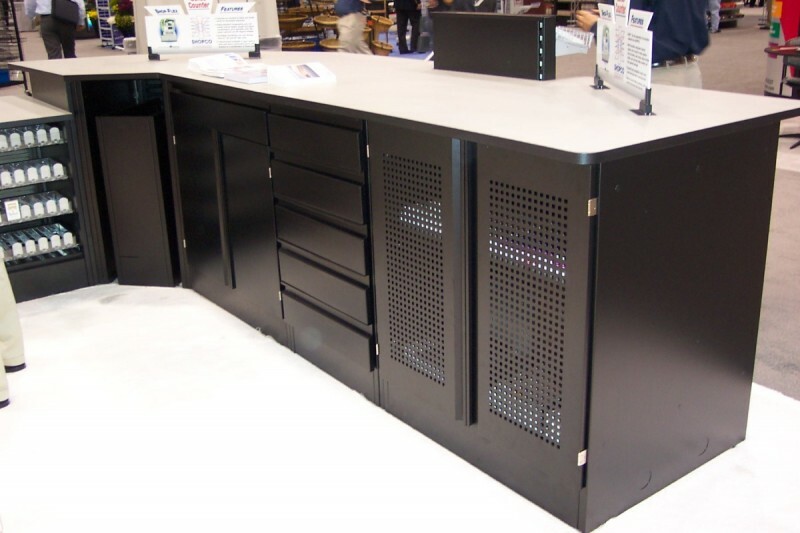 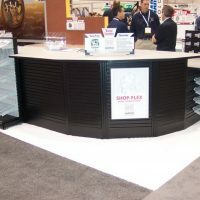 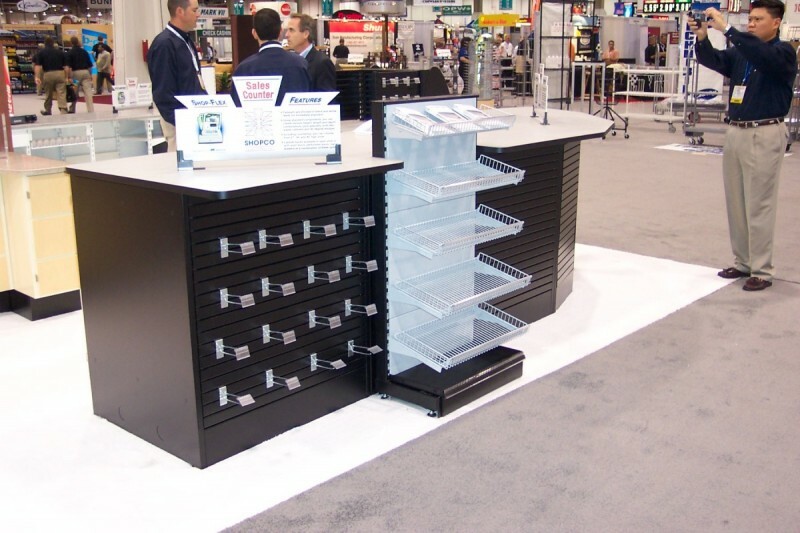 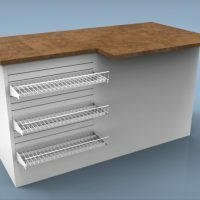 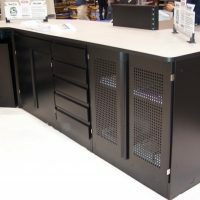 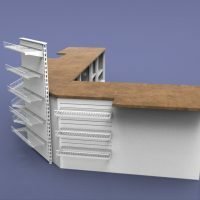 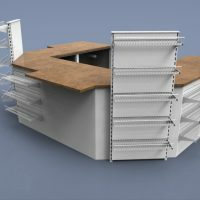 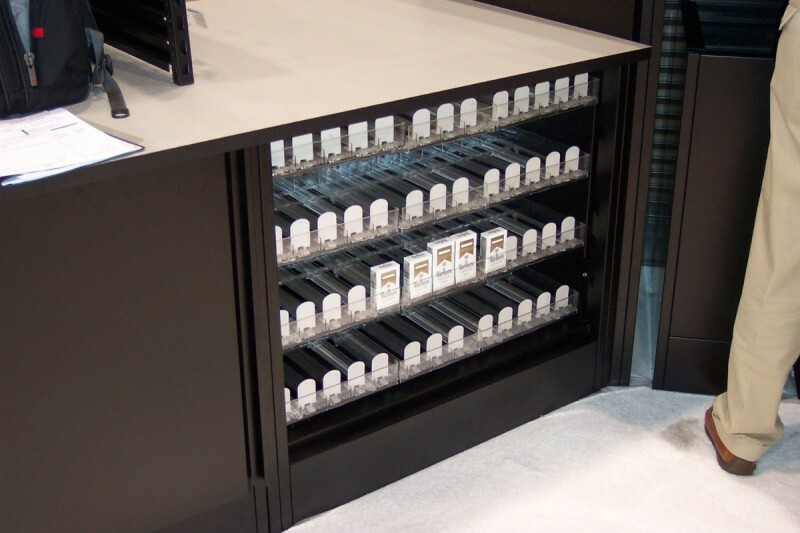 SHOP-FLEX Metal Cabinets - SHOPCO U.S.A., Inc. 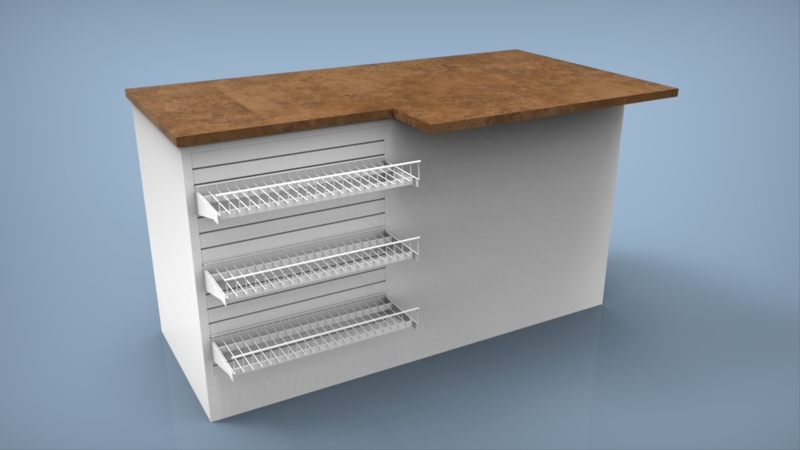 The next generation of cabinets designed with the durability of steel, combined with the economy and versatility of smooth, mini-slat or wood fronts with customized counter tops. 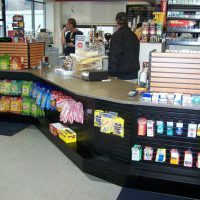 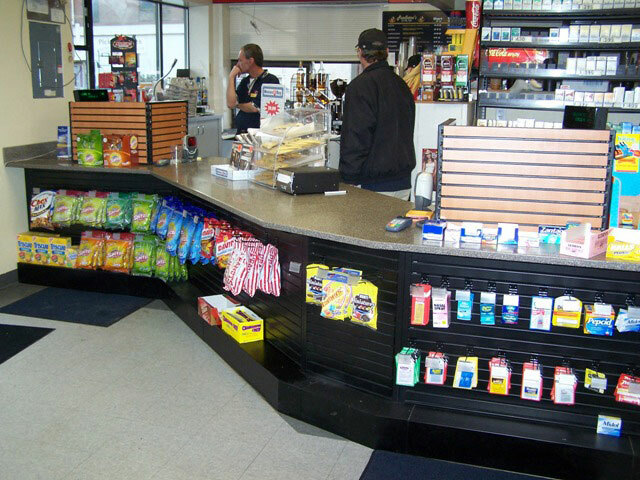 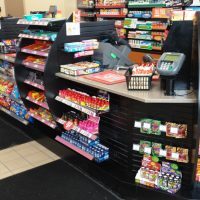 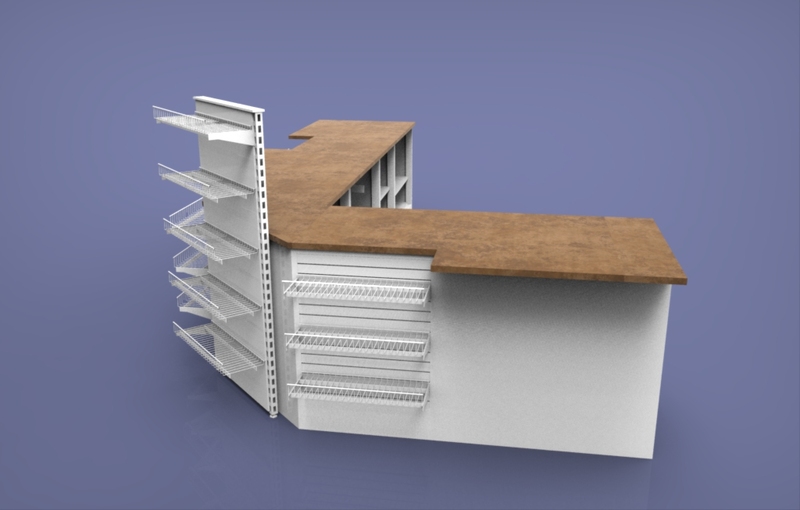 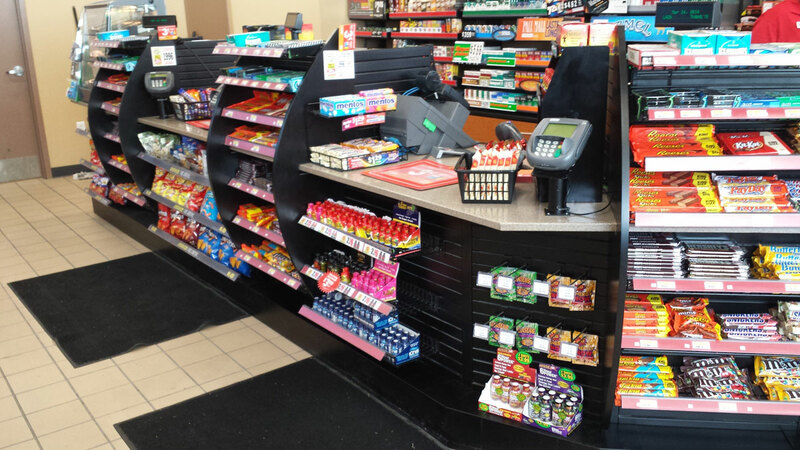 The simplified component design allows for tremendous versatility as well as ease of field assembly inside your convenience store. 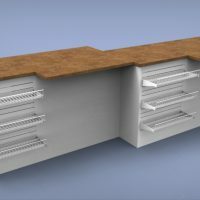 Standard components can be configured in a wide variety of ways for many design options. 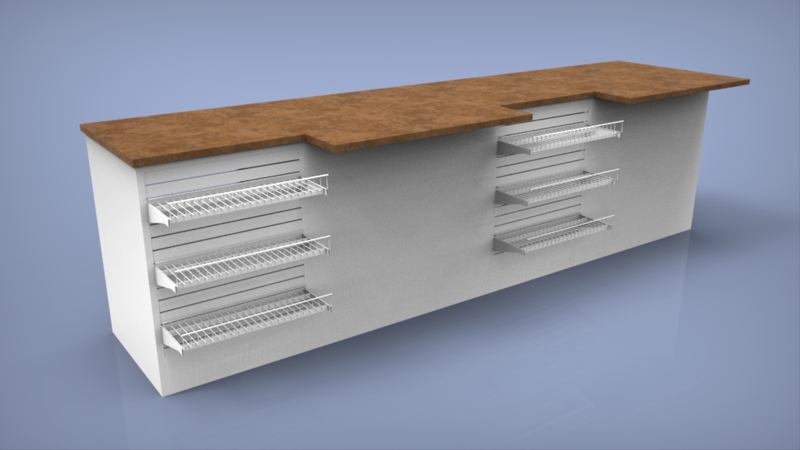 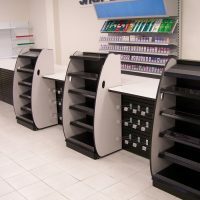 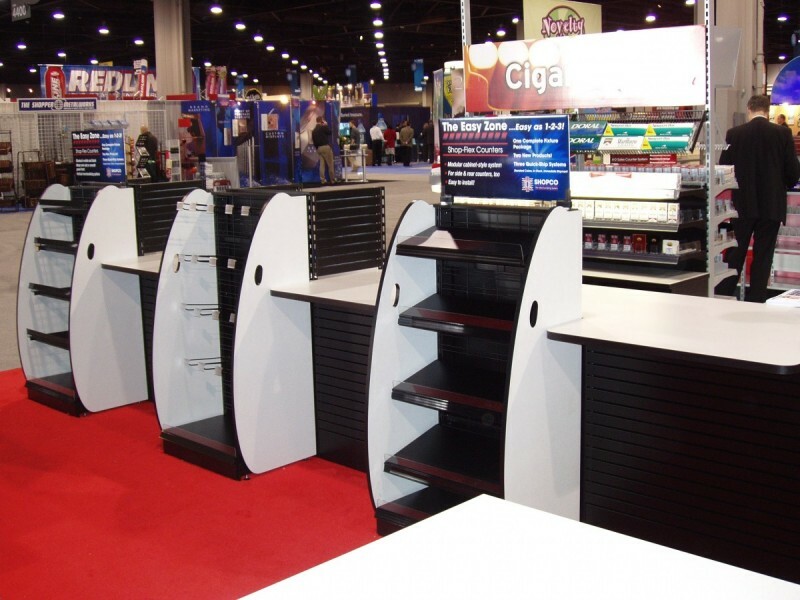 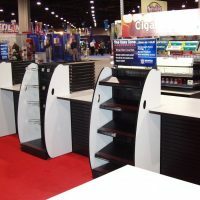 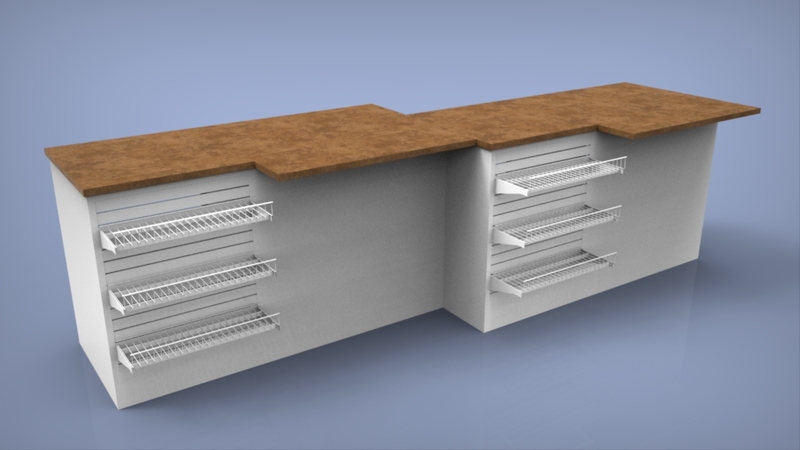 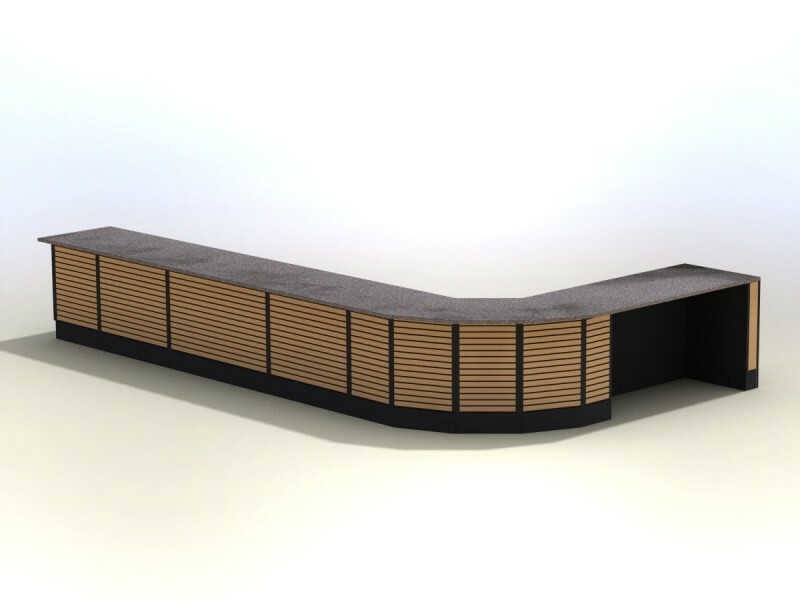 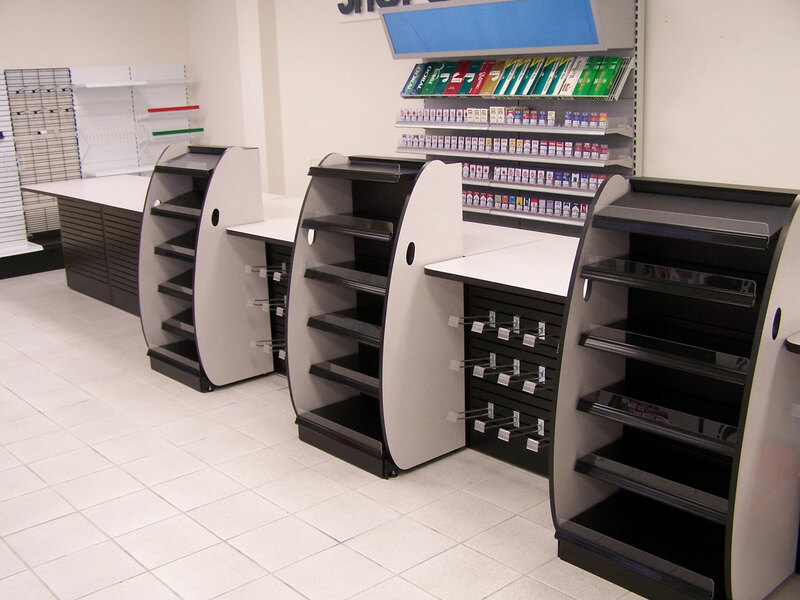 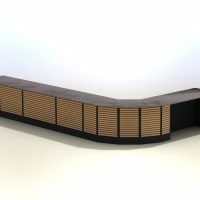 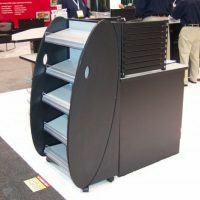 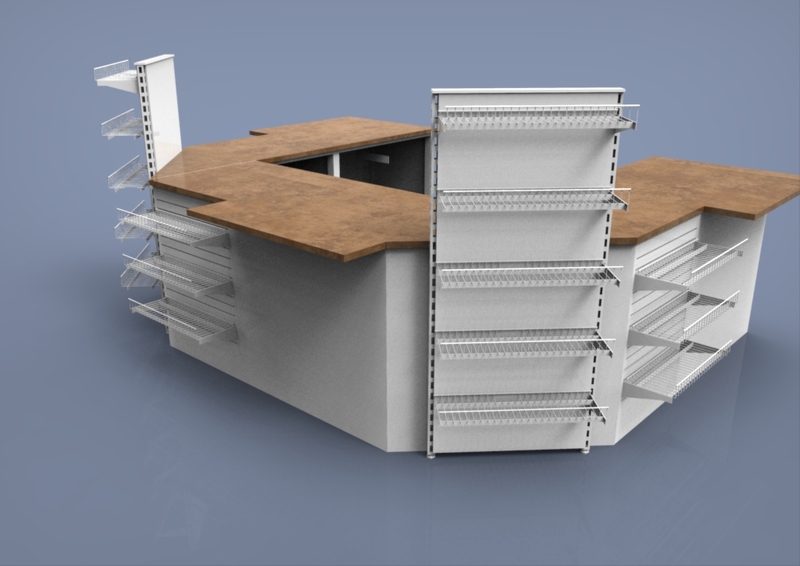 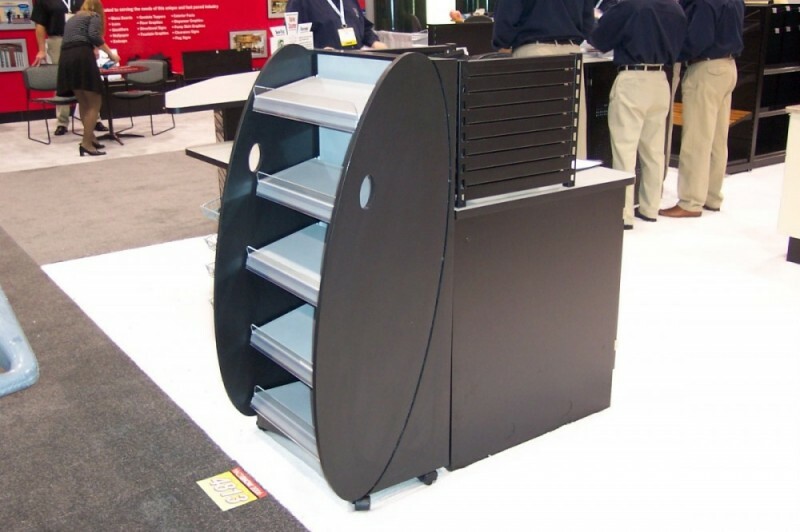 The SHOP-FLEX Metal Sales Counters are great for many purposes such as sales counters, kiosk counters, reception desk, rear storage counters and warehouse counters. 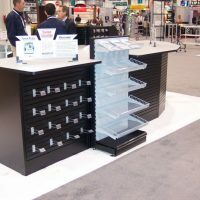 SHOP-FLEX Metal Cabinets are in stock in black. 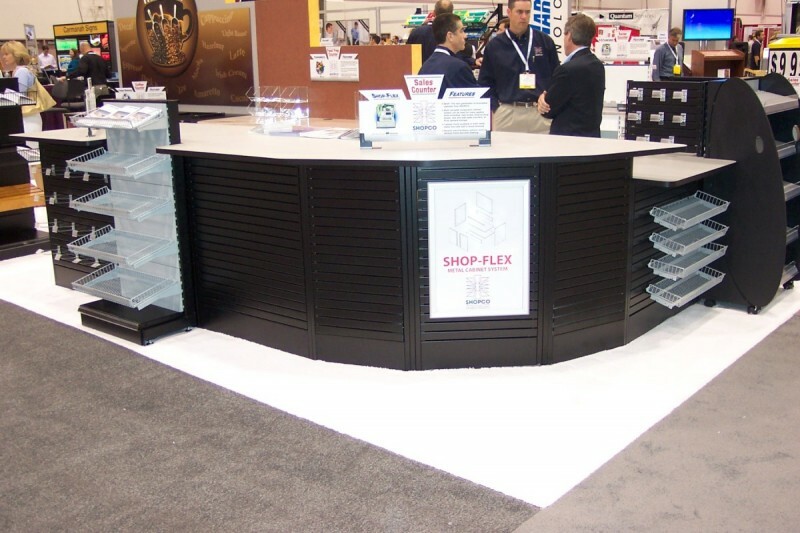 Click Here to view custom colors available for the SHOP-FLEX Metal Cabinet System.